As a relative of mine would say, "this really grinds my gizzard." 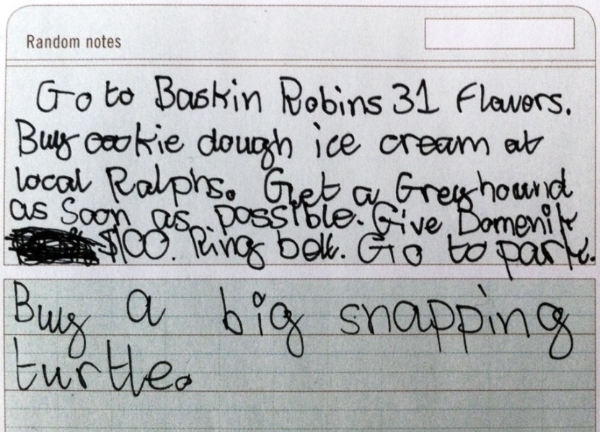 My 12 year old nephew made this to-do list during his annual summer visit. I found it sitting on a pile of papers on my desk a few days after he left.